We can contribute to minimising yours. Climate change due to emission of greenhouse gases presents a serious challenge for responsible business leaders in the 21st century. Most scientists now agree that rising atmospheric concentrations of greenhouse gases (GHGs), particularly carbon dioxide (CO2), will have a serious impact of many activities of societies and natural ecosystems around the globe. Besides an overall increase in temperature, these impacts may include more intense rainfall, storms, flooding, drought, an increasing sea level, etc.. It is recognised that carbon dioxide (CO2) emissions are the main agent behind changes in the earth's climate. 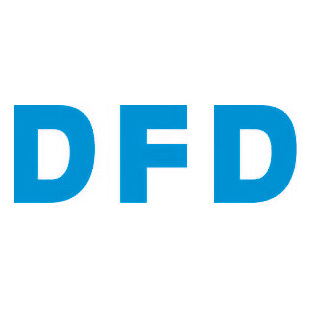 As a responsible industry committed to a sustainable future, we believe in maintaining a low carbon footprint. The GHG Protocol classifies greenhouse emissions into three 'scopes'. 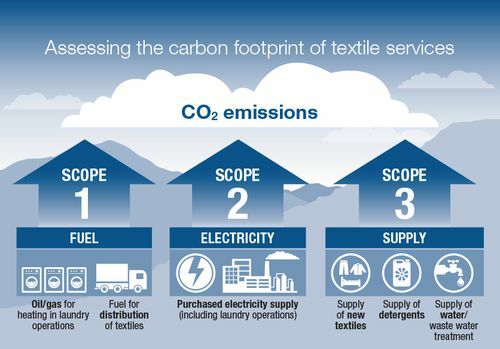 The image shows the greenhouse gas (mostly CO2) emissions for each phase of textile services. 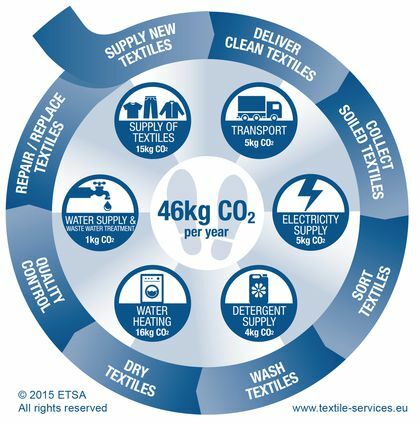 Download the full report 'Assessment of global warming potential of two textile services', which summarises how ETSA has used the global standard to assess its own impact on the environment. Providing one worker with workwear for one year. A worker whose employer rents his workwear from a textile service company can expect clean clothes (typically trousers/overalls, jacket and t-shirt) to be delivered to his workplace every week of the year, and his soiled garments to be collected for laundering. To deliver workwear for one worker for one year, the textile services industry has a total carbon footprint of 46kg of CO2 emissions. This takes into account the full cycle of supplying and servicing the workwear. On average, this workwear will go through 47 laundering cycles before it needs to be replaced. By comparison, the environmental impact of supplying new workwear textiles is 22 higher than the impact of laundering these garments once. On average, a hotel can expect to change sheets, duvet covers, pillow covers and towels 200 times per room per year. With a rental contract, the textile service company is responsible for laundering and maintaining these textiles. To deliver bed linen for one hotel bed for one year, the textile services industry has a total carbon footprint of 90kg of CO2 emissions. This takes into account the full cycle of supplying and servicing the bed linen. On average, this linen will go through 119 laundering cycles before it needs to be replaced. By comparison, the environmental impact of supplying new hotel textiles is 33 higher than the impact of laundering this linen once.